As a lifelong Rhode Islander, I've been proud to bring a commonsense approach to the State House and to get things done for our communities. I've never been afraid to stand up for what's right, even if it means telling legislative leaders what they don't want to hear. With my family's support, married to Donna Maria Digidio and 2 children, Alexandra-Marie and Nicholas Peter, I do my best for the community listening to concerns and their agenda. A community favorite, a forum for in-depth discussions, is our restaurant in Coventry. As a small business owner, I'm talking to my constituents every day and that keeps me connected to the issues that matter in our district. Senator Leonidas P. Raptakis (Democrat - District 33, Coventry, East Greenwich, West Greenwich) was born on November 18, 1959. A restaurant owner and operator, Senator Raptakis earned a B.A. in 1985 from Rhode Island College and an A.A. in 1981 from the Community College of Rhode Island. He is also a graduate of Coventry High School. 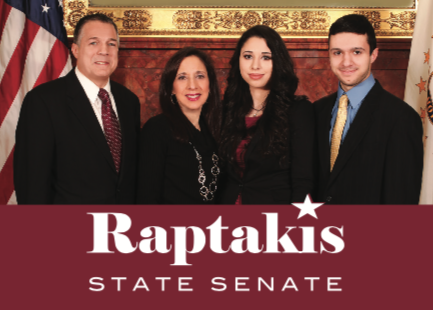 Senator Raptakis is a member of Alpha Omega; Chapter 106, District 7 of the American Hellenic Educational Progressive Association; the Annunciation Greek Orthodox Church; Club 100; the Coventry–West Greenwich Elks; and FOP Lodge #26. Prior to his election to the Rhode Island Senate in 2012, Senator Raptakis served in the Senate from 1996-2010 as well as in the House of Representatives from 1992-1996. He can be reached at (401) 397-2720. 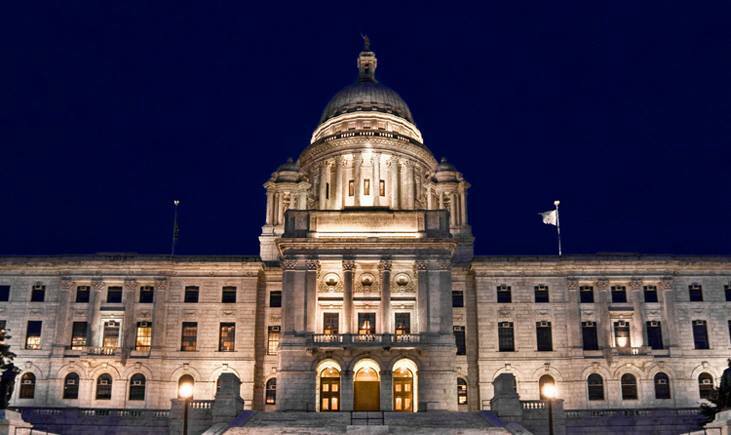 Ranked number l out of 32 democratic senators by the RI Freedom Index to protect taxpayers. Led the charge to eliminate Master Lever and opposed state subsidies and tax breaks for the 'Superman Building'. Fought for small businesses by passing legislation to repeal a 7% sales tax that utilities were adding to energy bills. Fought to bring penalties for leaving a child unattended in a car. Won passage of legislation to increase the time served for those convicted of first and second degree murder. The only Coventry legislator who responded to elevator breakdowns at Woodland Manor to resolve the crisis.